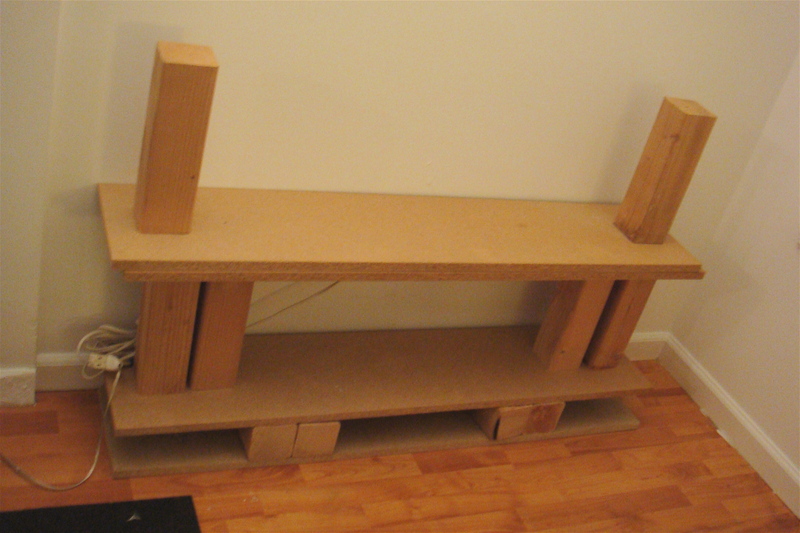 Here’s how I reused the bookcase I made when living in my one-bedrm, to make a platform bed; using two shelves and four posts as the legs and a 4′ x 8′ piece of wood for the support platform. 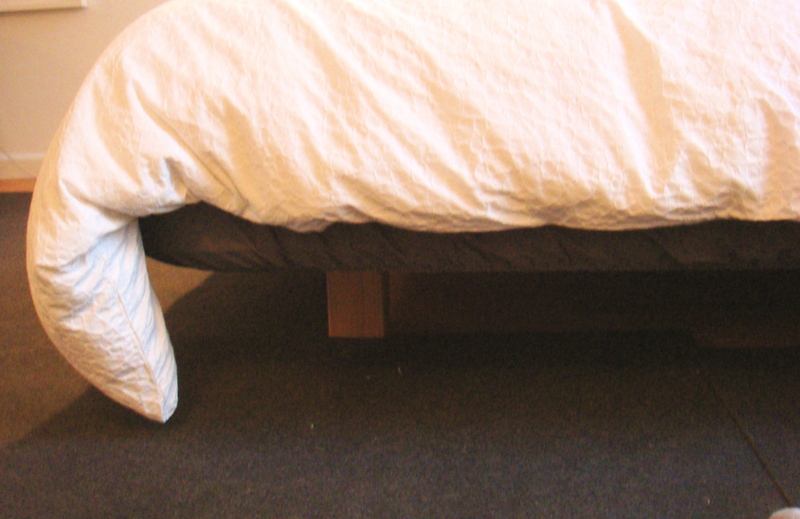 I had two options with the legs; use the posts as they are which would make the bed, without the mattress, 13 1/2″H (12″ post and two 3/4″ pieces of wood) which was too high, or lay the posts on their sides making the bed 5 1/4″H which was too low. 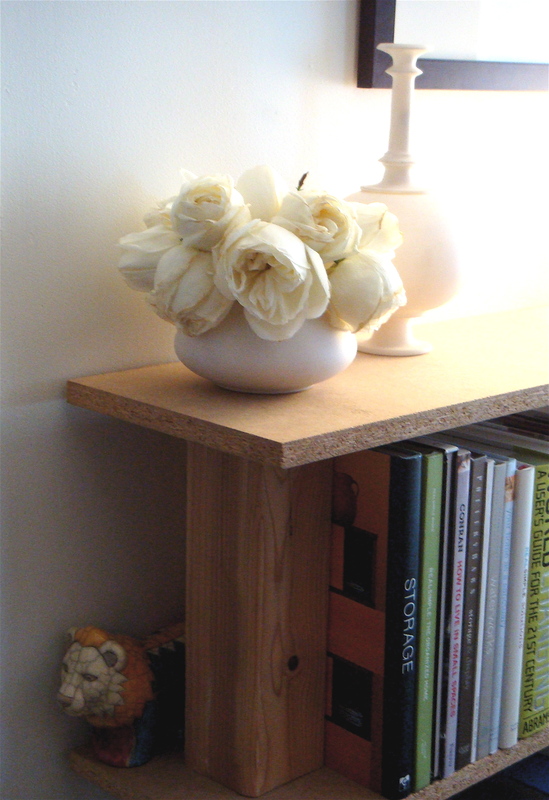 I decided to go somewhere in the middle and cut the posts down 6″ for a height of 7 1/2″. Luckily my landlord is working on the apt downstairs and cut down the posts for me saving me a trip to the hardware store. For the platform, I bought a 4′ x 8′ plywood ($19.75 at Lowes) which I had 2′ cut off to use as a large bulletin board in the office area. 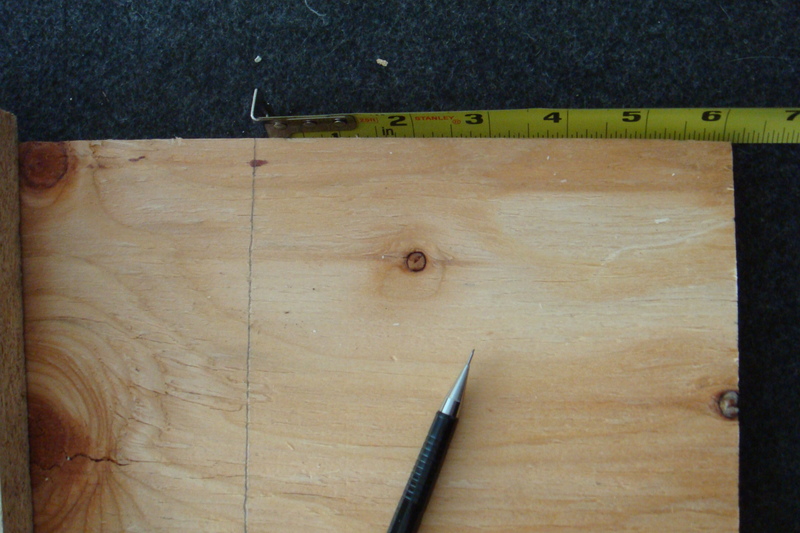 I laid the platform on the floor and measured out where the legs would go and lightly glue them into place. 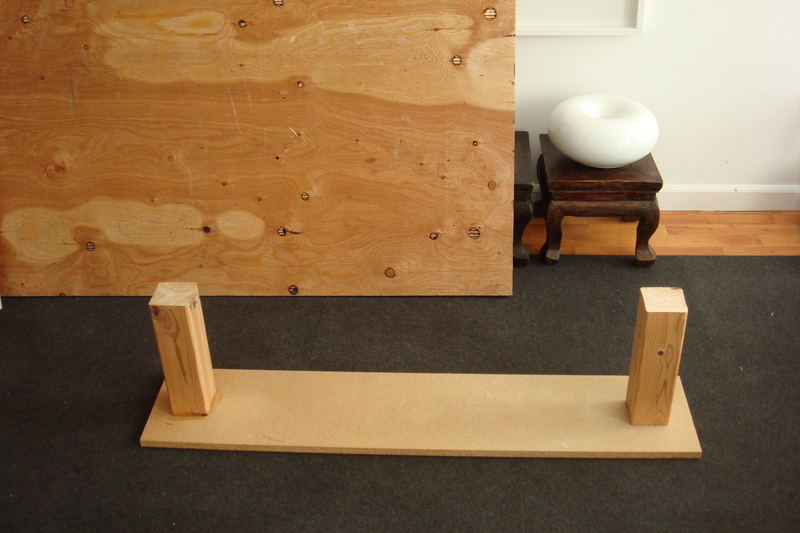 Admittedly, I didn’t bother screwing the posts into place as the wood glue worked just fine. 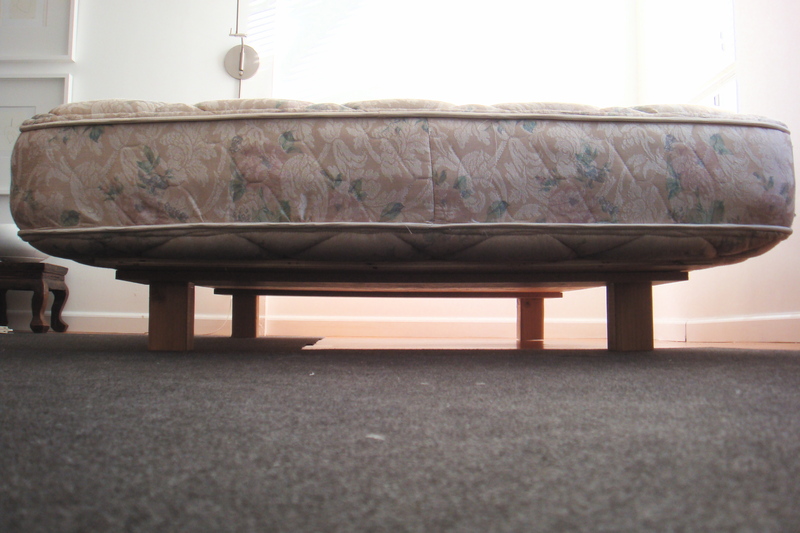 Once dry, I turned the bed over and flipped the mattress into place, centering the mattress over the platform. For more detailed pics, check out my Flickr. Creative and thrifty… I love this idea! 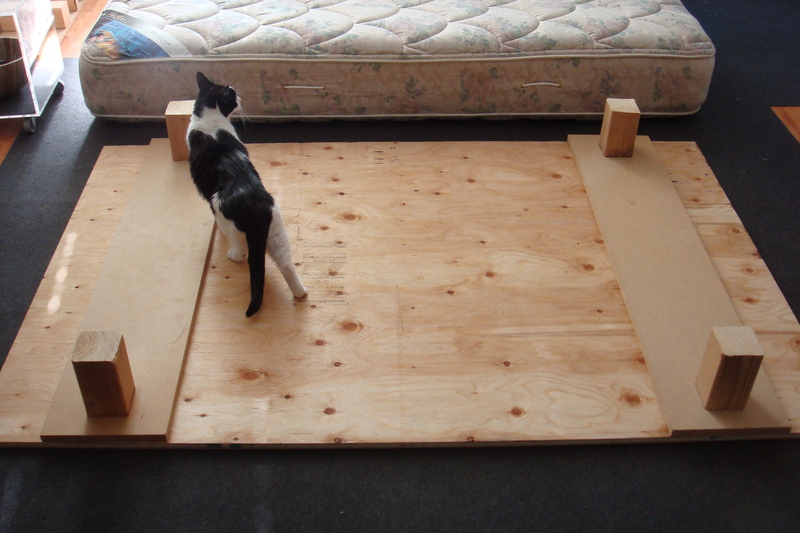 poppy: you mean a boxspring? it's not ideal since i bought this mattress originally with a boxspring but it's fine for now. 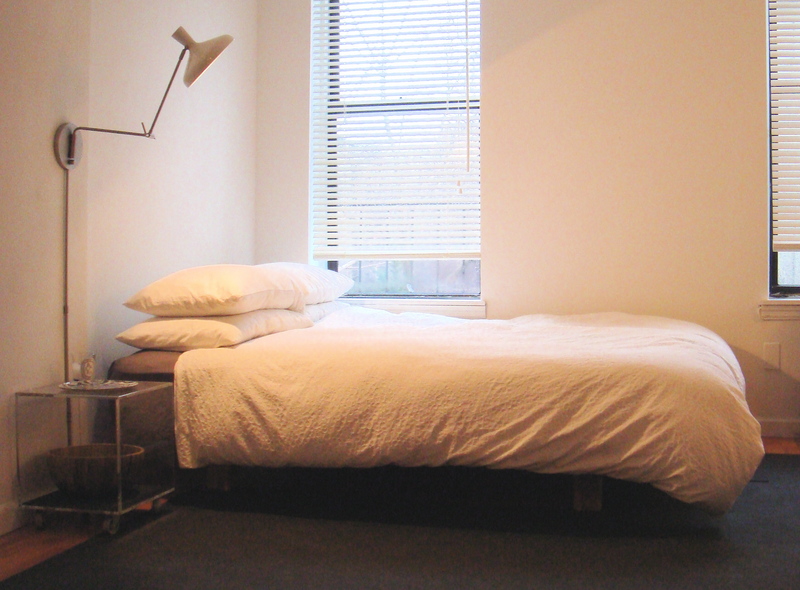 when i buy another mattress (this one is about 9yrs old so in the next couple of years) i'll buy one that is specifically designed for a platform bed. Hi Laura, I think you're so clever making your own bed and it looks great (as does your entire apartment as it comes together).Do you advocate buying a new mattress every ten years? I've never really thought about it so I'd love to hear your opinion. Thanks for the info Laura. I appreciate your answering. I love your home style and your whole blog is so inspiring to me as I make my life clutterfree and organised, one cupboard and one drawer at a time! Ohh, love it! Simple and pretty. 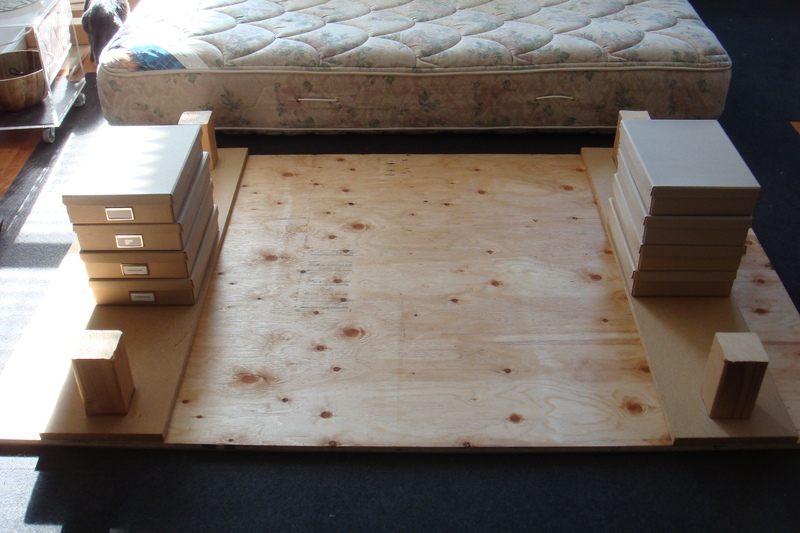 boxspring!! Yes :-)! !I ask you because i have an old mattress (15 years…) that i must change and i'm reading lot and lot of article to find the right mattress with or without "boxspring"..it is soooo difficult to choose to be sure that it will as comfortable as we all wish…!